- Fixed System hang /w USB LAN at ExitBootServices. - Fixed to preserve TPM state if user canceled the TPM firmware update. - Fixed TPM firmware update issue with TPM 1.2. 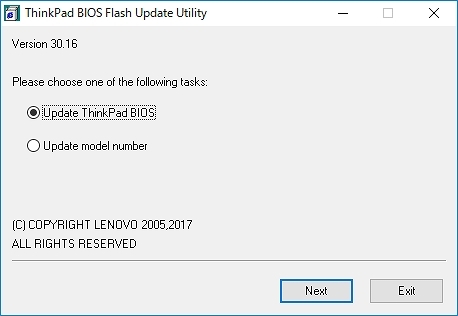 - Fixed BIOS silent update with system account. - Fixed potential issue. Opened USB/PCI IO protocol was left open. upgrade this software when the revision number changes. the Determining which version is installed section. - (Fix) Fixed System hang /w USB LAN at ExitBootServices. - (Fix) Fixed to preserve TPM state if user canceled the TPM firmware update. - (Fix) Fixed TPM firmware update issue with TPM 1.2. - (Fix) Fixed potential issue. Opened USB/PCI IO protocol was left open. - (Fix) Fixed BIOS silent update with system account. - [Important] Updated Skylake D0/K1 MCU to MC0406E3_000000C5_000000C6. - (New) Version 03.12.003 code of FIT's InROM diagnostics. - (Fix) Applied W/A for Handelsbanken USB Smart Card Reader and for Lenovo T2424z monitor. - (Fix) AMT: Fixed the issue that Unconfiguration process is escaped. - (Fix) AMT: Fixed the problem that unconfiguration ME prcocess repeatedly. - [Important] Update Thermal table. 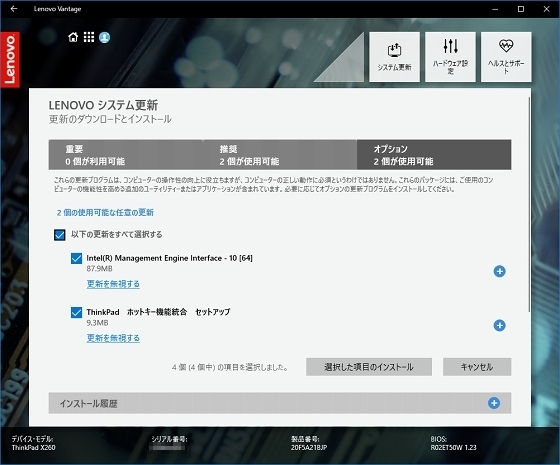 - (Fix) Updated Skylake D0/K1 MCU to MC0406E3_000000C1_000000C2. - (Fix) Add Header Checksum Calculation after modification of ACPI Header. - (Fix) Fixed Network boot happened at reboot after WOL from S3. - (Fix) Fix SMBios Type16/17 information incorrect. - (Fix) Support interface of TPM firmware update. 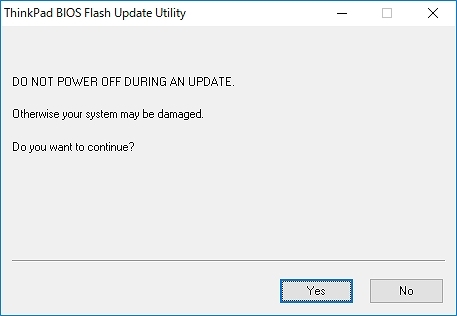 - (New) Supported disable Back Flash Prevention for Mfg. - (New) Add the RTC Power Status to the condition of Bottom cover tamper detection. - (New) Add Back Flash Prevention flag(THP-1) for PSIRT-TA-201708-001. - (Fix) Security Fix: Security ID 005-009 (Intel TA201708-001) for SPI Write status command. - (Fix) Fixed BitLocker recovery issue when PCR5 was enabled as platform validation profile. - (New) Supported P.U.R.E for flash update. - (New) Supported P.U.R.E. for SrSetup. - (New) Updated Capsule GUID to make manifest file to support Linux flash tool. - (New) PSWD: Support the special character for the password. - (New) Security improvement from Tianocore code base. - (Fix) slp2:Check input buffer is outside SMM. - (Fix) WMI: request ConfigChange restart when SVP is changed. - (Fix) Security improvement completely shut out the interface of early phase of DXE after ReadyToBoot. - (Fix) Password verification improvement. - (New) Srsetup: Support Special Character Password Mode. - (New) Enable the special character for the password. - (Fix) Add fail safe code the default boot options can be loaded in missing Boot Options. - (Fix) Added SMRAM range check for SMI parameter. - (Fix) Fixed a incomplete signing and verification of capsule file. 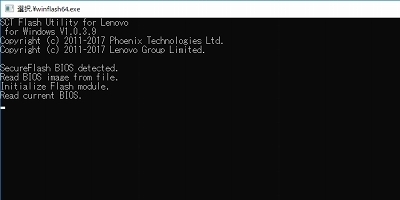 - (Fix) Fixed possible infinite loop in LenovoSmapiH8ControllerService of the smapi service. - (Fix) Fixed a bug that caused infinite loop. - (Fix) Fixed problem that RTC_PWR_STS could not be read. - (New) Add Linux LVFS support. - (New) Modified code for Intel DCI function. 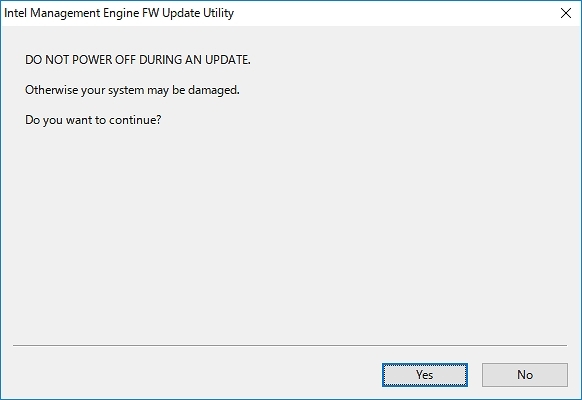 - (Fix) Core Update 18296/18298/18603. - (Fix) Removed SMBIOS reporting option for NEC model. - (Fix) Fix Current state is not displayed correctly. - (Fix) Unselectable Epoch Change if SGX is enabled. - (Fix) Applied W/A for WinPE low-res screen issue. - (Fix) USB issues fixes. - (Fix) Correct the handling for attributes of AUTHENTICATED_WRITE. - (Fix) Remove USB Audio Class Device from Ignore List. - (Fix) Avoid error assertion caused by library change. - (Fix) Change "CurrentPolicy" varibale to 0 if it reads the value is 0x04. 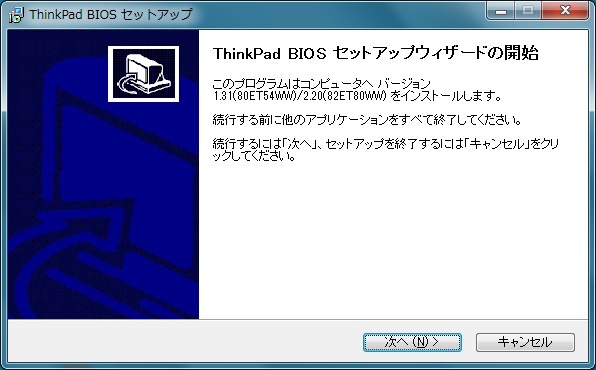 - (New) Added support SMBIOS reporting option in BIOS setup. - (New) Added support Warning popup for Disable. 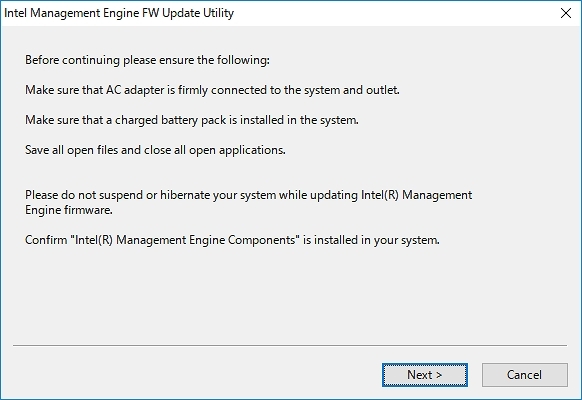 - (New) Added _BST workaround for Battery FW update on Win10 RS. - (Fix) Fixed the shutdown code of hdd tamper. - (Fix) Fixed to be able to unlock the password at reboot. - (Fix) YD1 BIOS shows Error 1802 if Sierra WWAN card is attached during Remote Warm Reset. - (Fix) Add wireless KB slow under DOS solution. - (Fix) Fixed intel wlan noAMT did not do vpro downgrade. 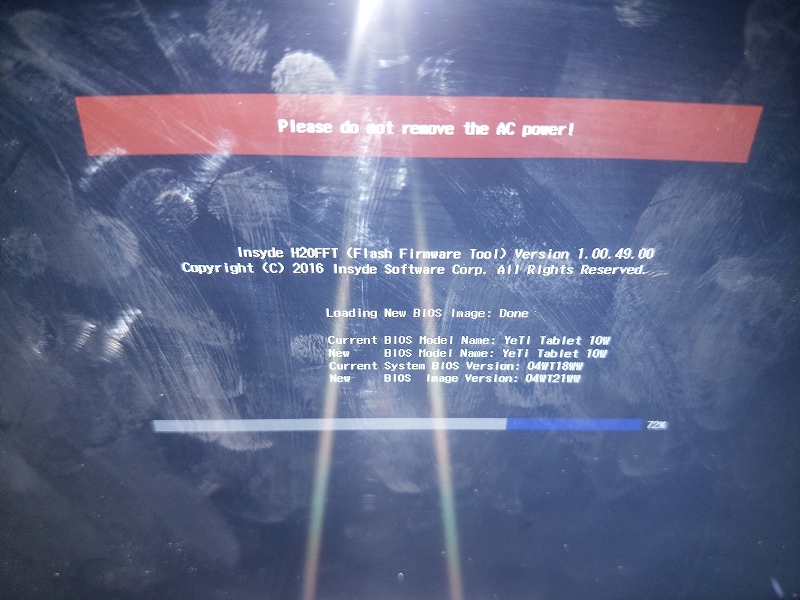 - (Fix) Fixed Cannot Boot AMT ISO in Legacy. 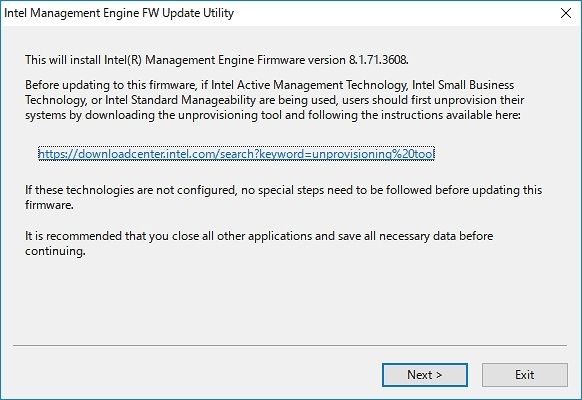 - (New) Added 1.22 BIOS cannot downgrade notice info. - (New) TCG: Fixed the bug that TPM setting was changed to disabled from inactive with dTPM1.2 in setup. - (New) [Bug 29452] The buffer pointed a wrong address of BuildDate of LFS, it caused system hangs up at POST. Modified the code to make sure it copies the correct BuildDate to the buffer. 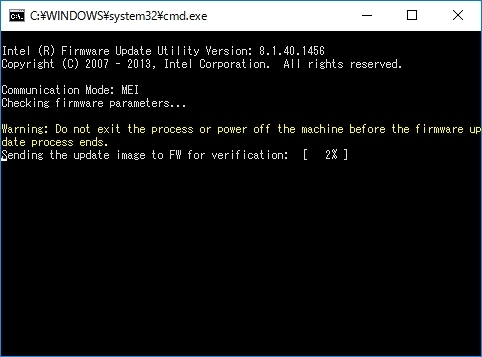 - (New) Delete UMRS02022 modification to fix CMOS POST error when ISO update. - (Fix) Fixed unattended boot problem of password. - (Fix) Fixed Monitor t2224z issue code change from phoenix. - (New) Added new incompatibility bit for Back Flash Prevention. - (New) Security fix for clear password buffer in memory after it is used. - (New) Modify verb table at microphone disable and D3 Dos beep path (0.5V) table. - (Fix) Fixed CMOS POST error when AC/Battery/CMOS battery detached. 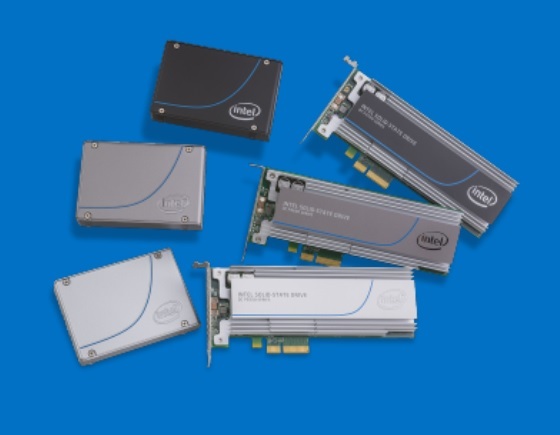 - (Fix) Fixed S3 resume hang with NVMe HDP. - (Fix) Fixed RTC POST error when date/time is broken. - (Fix) Fixed Variable FVH header recovery issue. - (Fix) Fixed PMM service for RTK USB LAN. - (New) Enable to reset EC whenever ThinkEngine is reset in S3 and S0. - (Fix) Fixed an issue related to incorrect battery charge/discharge sequence. - (Fix) Fixed an issue related to password can be changed by the SVP in the setup. - (Fix) Fixed an issue that Legacy Boot Mode was recovered by pressing F9. - (Fix) Fixed an issue that Popup appears even when Device Guard is already enabled. - (New) Corrected Memory copy to fix memory corruption. - (Fix) Fixed an issue related to NVMe PassThru Protocol return incorrect value. - (Fix) Fixed an issue related to system hang pressing the escape key in the windows 7 boot manager screen. - (Fix) Fixed an issue related to a build error at generating reference manifest. - (Fix) Fixed an issue related to setup popup message related to Device Guard. - (New) Corrected DxDiag BIOS parameter. - (New) Removed Safe Bottom Access feature. - (New) Turned off the power LED in breathing mode while LID is close. - (Fix) Fixed an issue related to CPU temperature cannot be read. - (Fix) Fixed an issue related to garbage problem when PXE boot exiting. - (Fix) Fixed an issue that WLAN module can't be detected when resuming from Hibernation in UEFI Only Mode. - (New) Updated verb table. - (New) Updated MCU 0x5C. - (Fix) Fixed an issue related to "Preinstalled OS Liences" not shown in BIOS Setup sometimes. - (Fix) Fixed an issue related to beep noise. What is Yoga book w/lte BIOS firmware latest version？ 04WT21WW ?